In Women Reaching Women we discuss the issue of possibly including in your ministry a dream team and how powerful this can be. “Dream Team: This team, made up of women from all seasons of life, may only meet once or twice a year. It may be called the assessment or think-tank team. These women provide the stimulus to continue to look to the future for growth, change, and ministry development.” (women reaching women p. 112) The purpose is for innovation and change to keep the ministry fresh. Stephanie Edge, Director of Women’s Ministry, Poplar Heights Baptist Church, Jackson, TN and an Associate Professor at Union University in Jackson, TN., is our guest blogger today. Keep reading to hear about Stephanie’s experiences with a dream team. Anyone who has ever achieved excellence or greatness started with a dream. Do you know God’s dream for your women’s ministry? Does your women’s ministry need to be refreshed with a new vision? Consider gathering a group of women to help you dream His dream for your women. What is the function of a dream team? 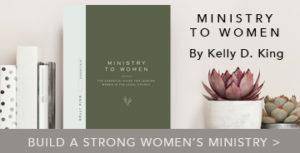 • “To focus on emerging trends and patterns and determine how these will affect ministry.”—Julie Woodruff, Women’s Minister, Long Hollow Baptist Church, Hendersonville, Tenn. Here are some fresh ideas from the Dream Team at Long Hollow Baptist Church (link) in Hendersonville, Tenn. Consider incorporating these in your ministry. Does your ministry have a name or perhaps need a new one? Take the time to christen your women’s ministry. Women need to belong. By simply naming your ministry, you can cultivate a sense of belonging and identity. Women will want to participate. Communication is key. What message are you sending about your ministry? Are your activities open to all? Are you effectively communicating this availability? Make sure you are not excluding women by the very language you use. Be creative, be inclusive, and watch your ministry grow. In today’s culture, we can find helpful insights for ministering to women. Check out the latest magazines, television commercials, Web sites, advertisements, and fashion trends. 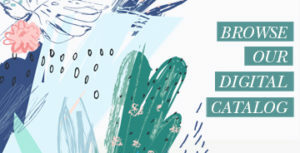 Great ideas for marketing and events abound. Take advantage of these resources. God desires your ministry to be a ministry of excellence. 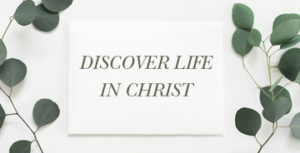 Dare to dream God’s dream for your women’s ministry and allow Him the opportunity to make this dream become a reality. The future is bright! Stephanie Edge is the Director of Women’s Ministry, Poplar Heights Baptist Church, Jackson, TN and a LifeWay Ministry Multiplier. She is an Associate Professor at Union University in Jackson, TN. Stephanie graduated from The Southern Baptist Theological Seminary with a Masters of Divinity. She also received an Advanced Women’s Ministry Certificate as well as completed a Th.M. from New Orleans Baptist Theological Seminary. She is currently pursuing a doctorate in Christian Education. She has a passion for God’s Word and enjoys ministering to women.